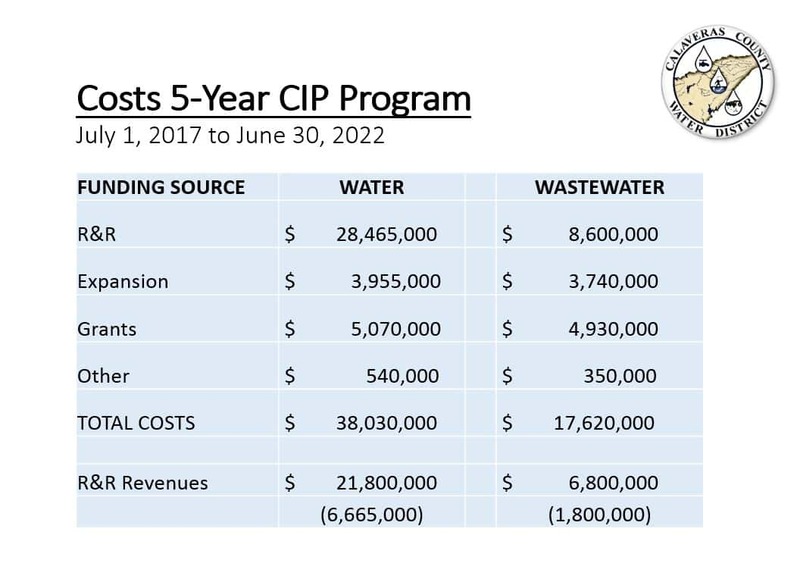 The Calaveras County Water District Board of Directors unanimously approved a five-year Capital Improvement Program (CIP) on Wednesday March 22, which identifies the District’s highest-priority water and wastewater infrastructure projects. Click here to view a PowerPoint presentation that provides an overview of the program. 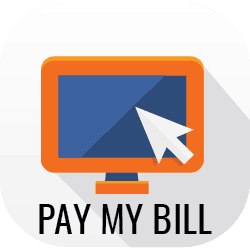 District staff carefully developed this project list in consideration of factors such as health and safety, state and federal regulatory requirements, age and condition of infrastructure, access to grant funding, and providing cost-conscious and reliable services to customers. Some of the most critical projects are planned to be completed in advance of potential infrastructure failures to avoid service interruptions and much costlier emergency repairs, while other projects eliminate operational challenges and achieve efficiencies that save money on ongoing operations and maintenance. The project list includes replacements and repairs of pipelines, pump stations, treatment facilities and other infrastructure. Projects are located throughout all of CCWD’s service areas, from Arnold to Copperopolis and Rancho Calaveras to West Point. According to the adopted plan, the District identified $38 million in water projects and $17.6 million in wastewater projects over the next five years. Click here to see a list of water projects. Click here to see a list of wastewater projects. “We cannot forget that these critically important projects would not be possible without the ongoing investment of our customers in the District’s Capital Water and Wastewater Renovation and Replacement (R&R) Program through rates adopted in 2013 for this very purpose,” said Dave Eggerton, general manager. The R&R Program is projected to contribute $21.8 million for water projects and $6.8 million for wastewater projects over the next five years. In order to leverage ratepayer dollars, the District has actively pursued state and federal grants. Staff has been successful in securing millions in grant funding, and these efforts will continue in the coming years. Click here to see a summary of estimated costs and funding for five-year Capital Improvement Program. Lifts station controls in Copperopolis that need to be upgraded. Techite water transmission line in Dorrington that needs replacement. A water tank in Rancho Calaveras in the process of having a new roof installed.